I spotted this over on MarketingVox and was seriously surprised. It would appear that Google is testing a feature that allows users to hide unwanted ads in their search results. 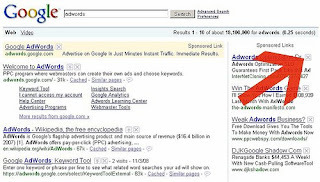 By using a standard X button in the upper righthand corner, users can kill unwanted sponsored ads. Currently only available as part of Google SearchWiki and only available to certain users, it lets users boost the organic listings up that are most relevant to their query. Crazy. I'm not sure I get it, except that an interesting point is raised - it's a clear line to user governed Quality Score. Interesting times ahead.